Obituary for Mrs. LaVerne Hawkins McMullen | C. C. Carter Funeral Home, Inc.
Mrs. LaVerne McMullen completed her earthly journey on Wednesday, March 27, 2019 in Gulf Breeze, FL and entered into eternal peace with her Lord and Savior Jesus Christ. LaVerne was born on July 6, 1961 to the late James and Florence Hawkins in Newport News, Virginia. She was the third youngest of ten siblings. 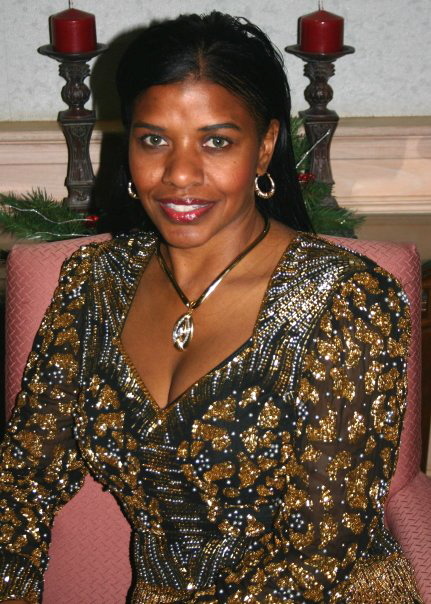 LaVerne attended Warwick High School and was a member of the Cheerleading team graduating in 1979. As time passed, LaVerne met and married the love of her life, Daryn McMullen on 3 Sep 2005 in Biloxi, MS.
LaVerne was a wonderful wife and a friend to many with an enormous giving heart to others. LaVerne often opened her house as a safe haven where many family and friends came to experience love, joy and peace. She was an exquisite dresser who enjoyed shopping, cooking and entertaining. LaVerne was a faithful member of Momentum Church who served on the Café and Greeting Team. LaVerne was preceded in death by her parents; Florence and James Hawkins and sister; Linda Horton. Left to cherish warm memories are her husband; Daryn McMullen, her sisters; Ernestine (Robert, III) Kearney of Suffolk, VA, Carol Thomas (Polo) of Hampton, VA, Wanda (Kevin) Wells, Helen (Victor, Sr.) Williams, Leslie Brooks, Karen Hawkins (Timothy) all of Newport News, VA and two brothers; Darnell (Ernestine) Hawkins of Newport News, VA and Michael (Sonia) Hawkins of Woodbridge, VA, and a host of nephews, nieces, cousins, church family and friends. LaVerne left an everlasting imprint on the hearts of all within whom she came in contact. She will be greatly missed. Services for Mrs. LaVerne Hawkins McMullen will be held noon Friday, April 5, 2019 at Smithfield Assembly of God, 1800 S. Church Street, Smithfield, VA 23430. Interment will follow at Albert G. Horton Memorial Veterans Cemetery, 5310 Milners Road Suffolk, VA 23434. A viewing for Mrs. LaVerne Hawkins McMullen will be held two hours prior to the service at the church. It is the desire of the McMullen family that you keep them in your thoughts and prayers. The family of the late Mrs. LaVerne Hawkins McMullen has entrusted her final care to the staff at C.C. Carter Funeral Home, Inc.